It's a beautiful Sunday morning. 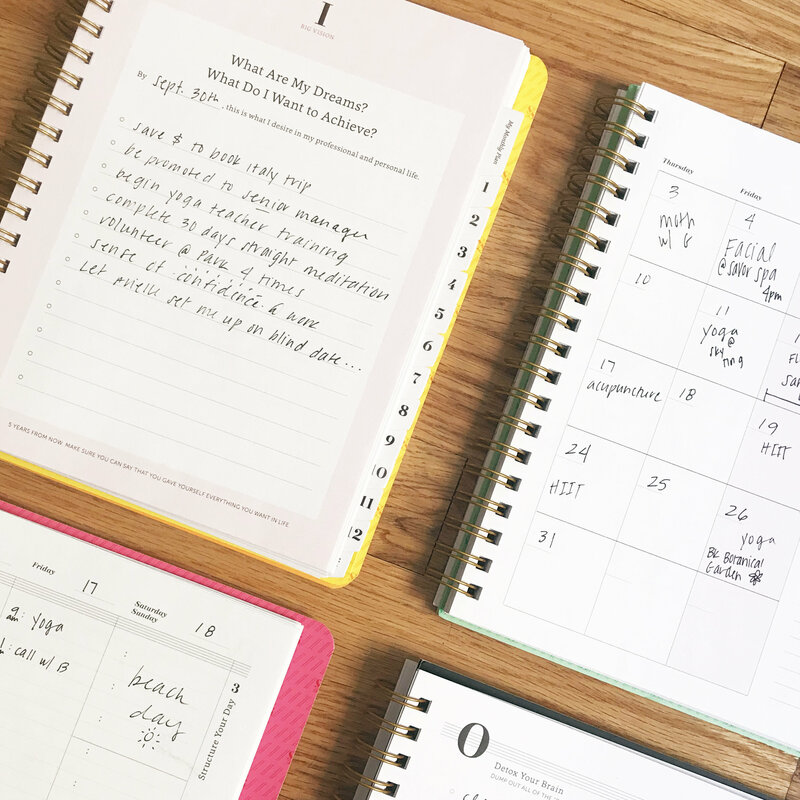 I have the windows wide open, the Daily Action Planner "What Inspires Me?" page in front of me, and Haydn playing in the background. The luxury of quiet is soon replaced with a flurry of budgets to sort through, decisions to make, plans to prioritize. It's easy to get overwhelmed when the plate is full. 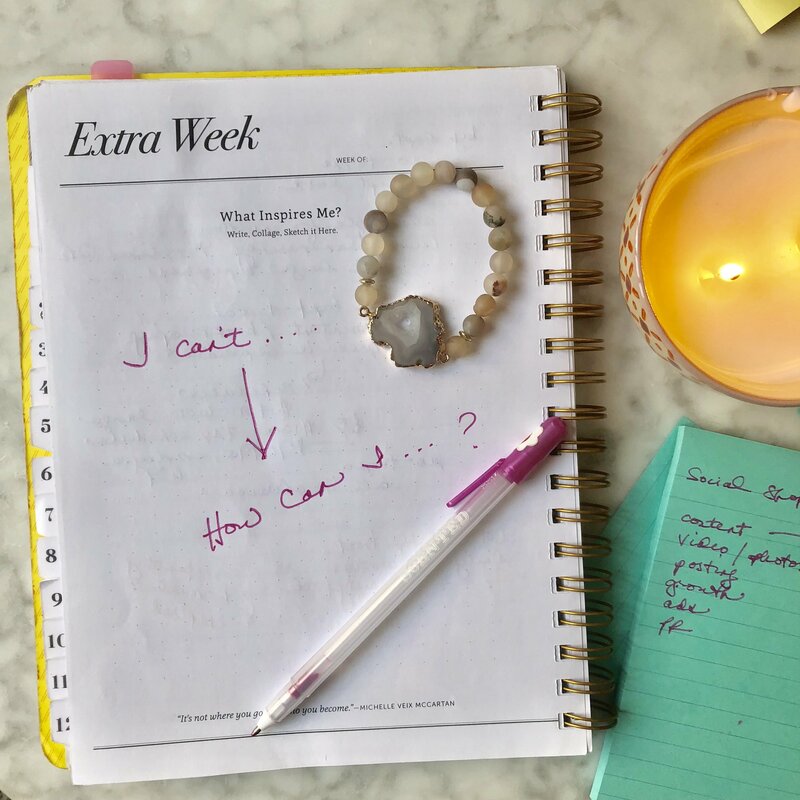 If you get into the "I can't" mode, a simple-yet-powerful question to ask yourself is, "How can I?" How can I afford xyz? How can I find time for self-care? When I was a young pianist in college wanting to attend an Amsterdam music workshop that was $2000, I thought, "I can't--it's too expensive." I then asked myself "How can I?" and came up with a list. I got a job playing piano for a church choir and working part-time in a gift shop. Both funded my trip that summer, and the sales commissions from the retail job was my "savor life" money to do fun things like go to the Van Gogh museum. The answer and abundance are there for you. It starts with giving yourself the space to think, plan, and create. So open your windows, grab your DAP, play your favorite music and ask yourself, "How can I..."